Correction: The solution to No. 3194 contained a typo. 14 down should be aguecheek, not aguecheck. The person who usually checks this was down with the ague. While we decide over the next months how to fill the void left by Frank W. Lewis’s retirement, puzzlers will be able to enjoy some golden oldies. 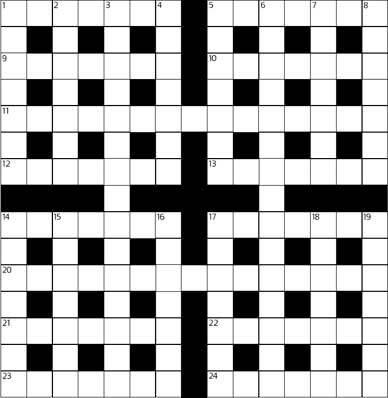 This was Frank’s twenty-sixth puzzle for The Nation and appeared in the April 10, 1948, issue. You will note that his style here, while in keeping with his written “Ground Rules,” is somewhat freer than in later puzzles. Also, certain clues evoke the mid-twentieth century.